How do you create the ultimate oasis in the heart of the city? With all the hustle and bustle of city life it’s essential to have your little slice of home feel as calming and peaceful as possible to serve as a place to relax and unwind from the daily grind. 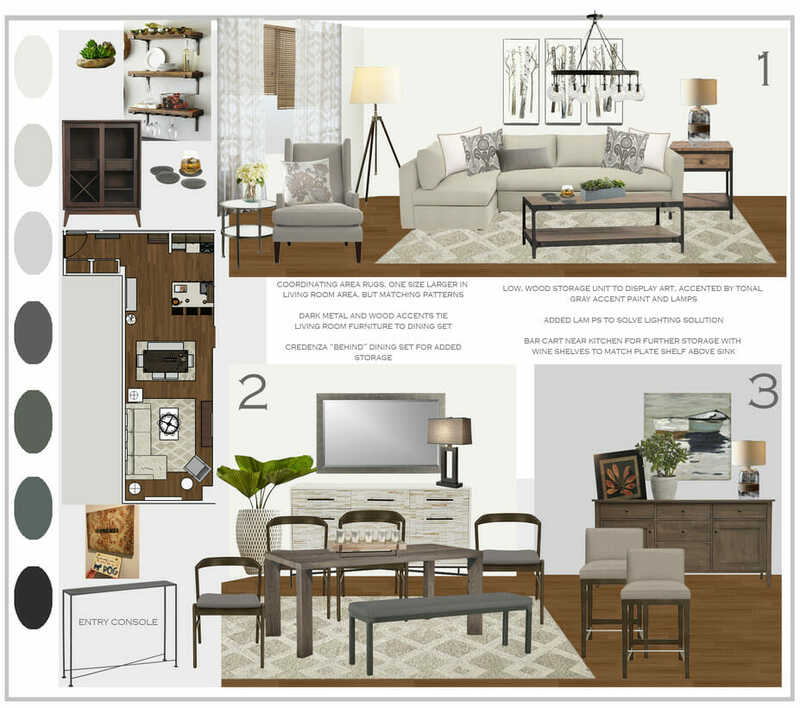 The problem lies with the age old question, “Where do I begin?” A recent Decorilla client knew she needed that helpful design eye to tie in all her dreams for her new one bedroom apartment. 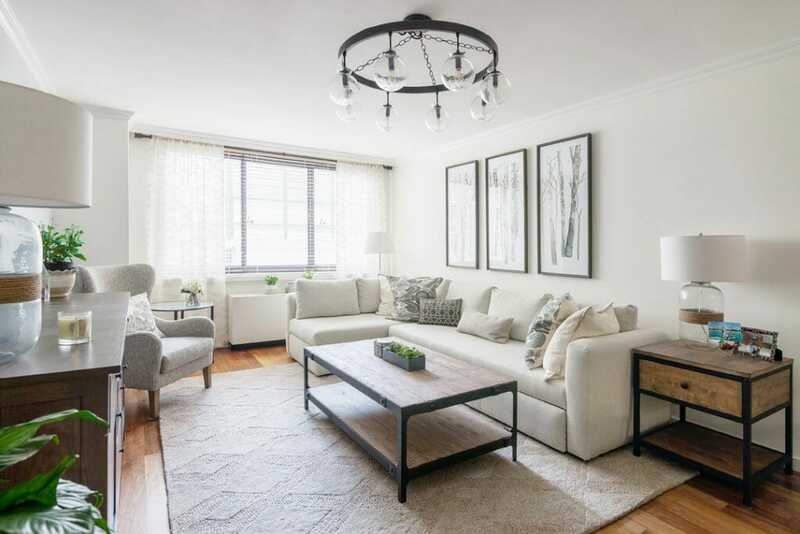 Through online interior design services her dreams came to fruition and she received a stunning rustic chic retreat right in the heart of NYC. 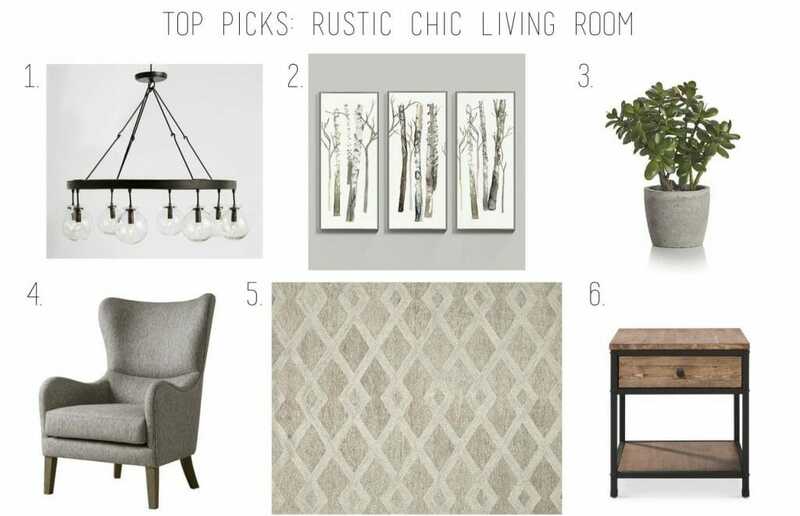 Inspired by neutral colors, clean lines, and cozy textures this client wanted to add subtle touches of rustic design merged together with a put-together luxurious look. It was very important to take into account that all materials and selections be pet friendly along with keeping creative storage solutions in mind. 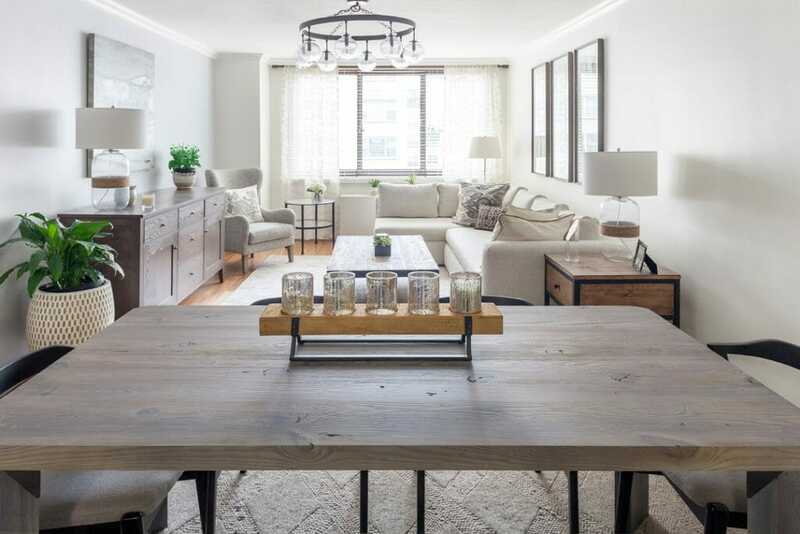 Decorilla interior designer, Sonia C. had the challenge of merging two very different styles together in an open concept kitchen + dining + living space. 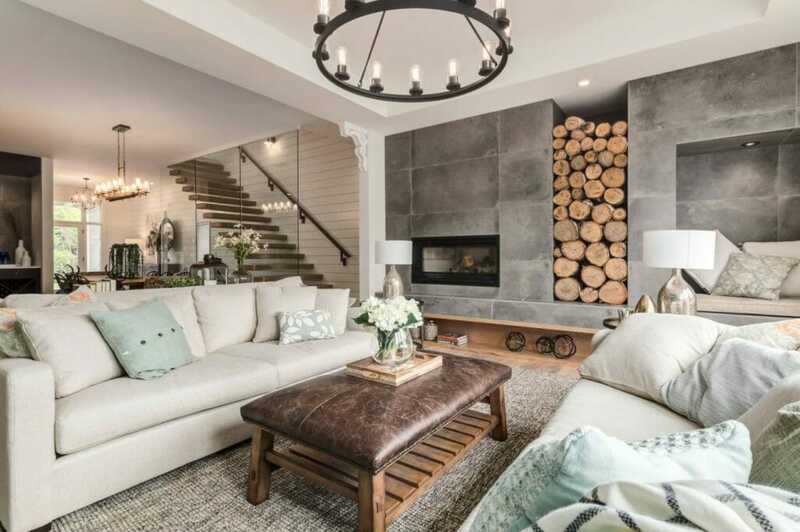 Her number one priority was keeping the space light and bright while adding warmth with layers of texture and lighting to keep the apartment warm and cozy all year round. Living room design by Decorilla interior designer, Sonia C.
Moodboard by Decorilla interior designer, Sonia C.
3D rendering by Decorilla interior designer, Sonia C.
Talk about an after photo! What an incredible difference in the overall feel of the space. 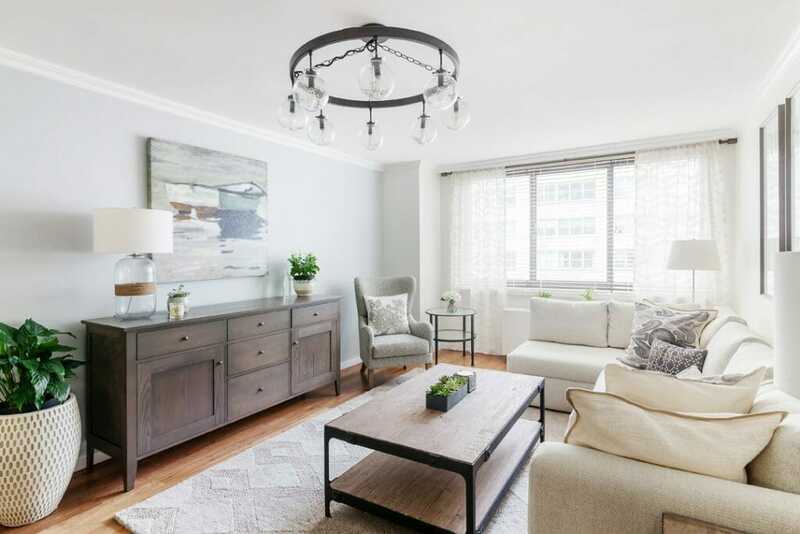 It was very important for the client to have an overall light and bright space, but she didn’t want it to feel “too white” which is what lead Sonia to chose Icicle by Benjamin Moore as the overall paint color. The use of warm woods throughout the space help bring contrast to the light upholstered furniture and accents. 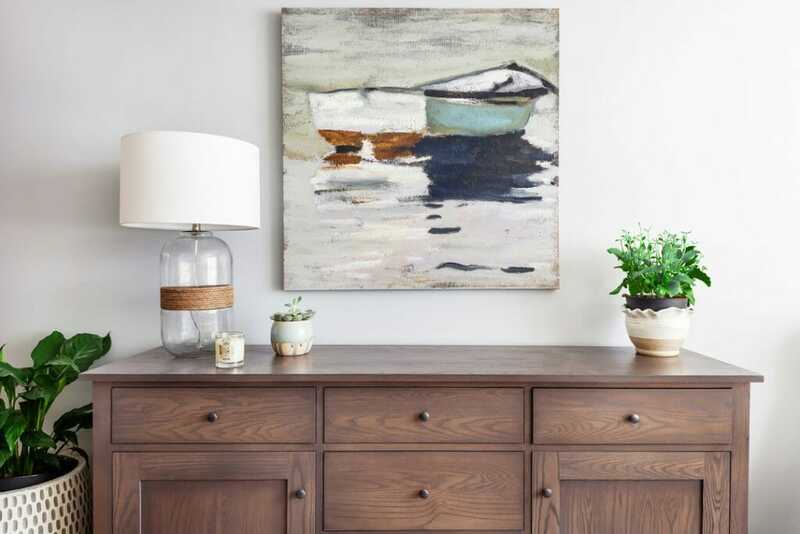 Designer tip: In small spaces use large scale art to give the impact you need without making the room feel cluttered and messy. The chandelier becomes the focal point of the living area with the contrast of dark vs. light. Layering lighting is one of the easiest things one can do to give a room that much needed cozy feeling. Don’t forget the importance of greenery! This was one caveat this client gave Sonia, there must be greenery in the space. Greenery, weather that be a floor plant, or a small plant on top of a table, give the added layer of softness that is the perfect finishing touch to any space. 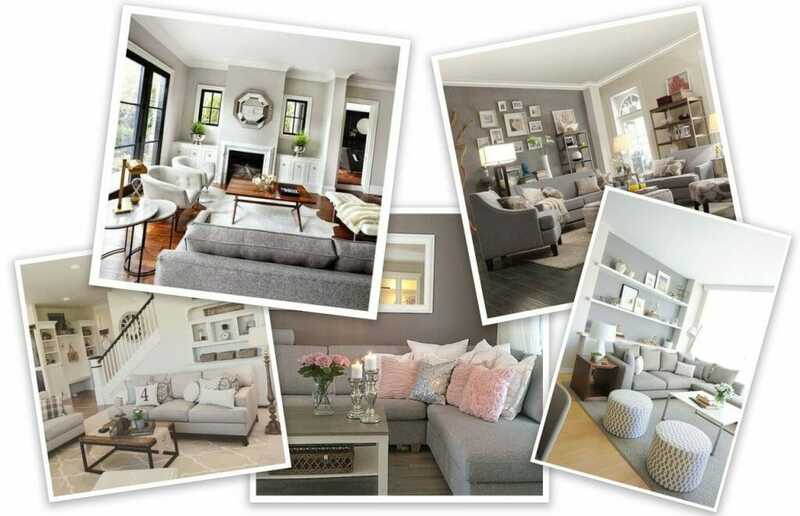 Online interior design is such a useful tool in today’s day in age. It’s essentially like having an interior designer in your back pocket. 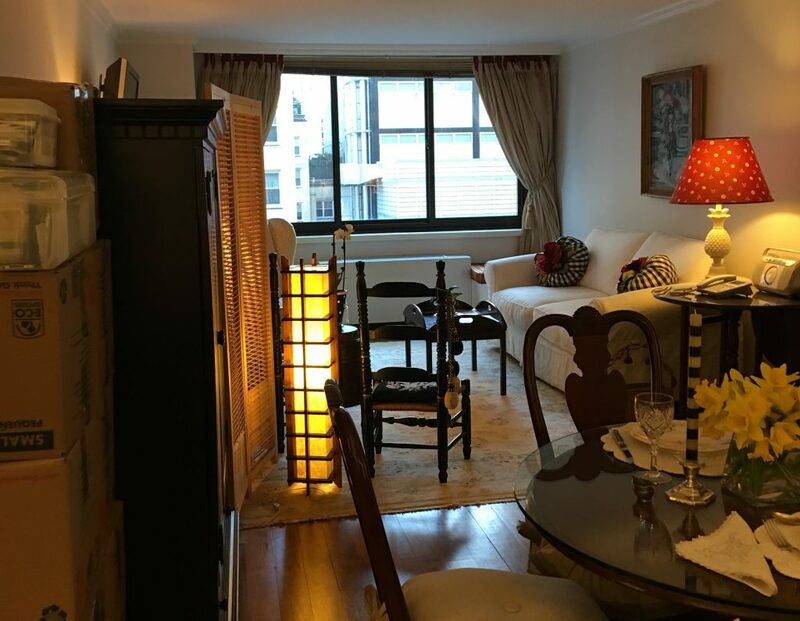 Sonia was able to create exactly what the client was envisioning, all without physically setting foot in the actual apartment. 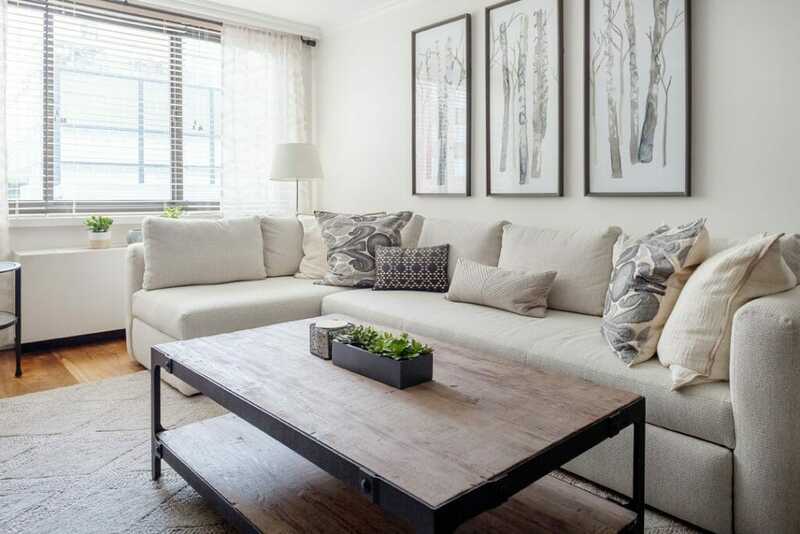 One of the online interior design features this client loved most was the use of Decorilla’s talented purchasing team which helped her with ordering, tracking, as well as any needed returns. From start to finish we’re here to help with anything and everything along the way! Schedule your free interior design consultation today to see how our talented designers can help you achieve your dream space!